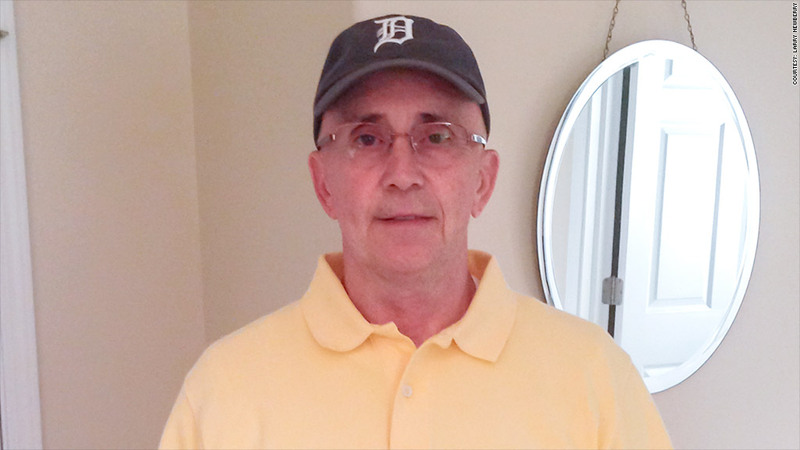 Retired Detroit firefighter upset he could see pension reduced in city bankruptcy. Retired Detroit firefighter: "My pension is what I was promised"
For nearly 30 years, Larry Newberry risked his life to put out fires in Detroit. Now, the city could slash the pension he depends on as it seeks to shed its debts through bankruptcy. Newberry, 65, said he responded to at least three to four blazes a day as building and car fires ravaged the city. He suffered several injuries that led to his needing hand reconstruction and knee and hip replacements. After he retired in 1994, he worked for Procter & Gamble as a retail merchandiser, but now can no longer hold down a job. The Traverse City, Mich., resident lives on his $34,000 annual pension, which is subject to federal and state taxes, and a $200-a-month Social Security payment. Since Detroit firefighters didn't participate in Social Security, his federal check is based only on his time in the private sector. Detroit Emergency Manager Kevyn Orr has warned there "must be significant cuts" in pensions for both active workers and retirees. Newberry acknowledges everyone will probably have to take a "haircut," but says he and his fellow firefighters and their families shouldn't suffer from the city's fiscal mismanagement. "I put my money into our pension fund and was promised it would be there by law when I retired," said Newberry. "I sucked up smoke and put my life on the line every day I went to work and have the injuries to prove it. The least the government can do is stand by Michigan law." Newberry isn't worried as much about what a potential pension reduction means for him. He does need enough money to survive, but he's willing to move out of his condo and live in a trailer. His biggest concern is that he'd no longer be able to help his seven grandchildren. "I don't need it for me," he said, choking up. "I want to help my grandchildren go to college."